The Avg. Group Saves 2.8%! Located in the Las Letras district, the NH Palacio de Tepa hotel in Madrid is surrounded by history and romance. Just a five-minute walk away guests can visit the famous Plaza Mayor and next to Plaza Santa Ana enchant tourists and locals alike. Madrid's most significant museums, such as the Prado Museum, Reina Sofia Art Centre, and Thyssen-Bornemisza Museum, are also nearby, beckoning visitors with priceless works of art. 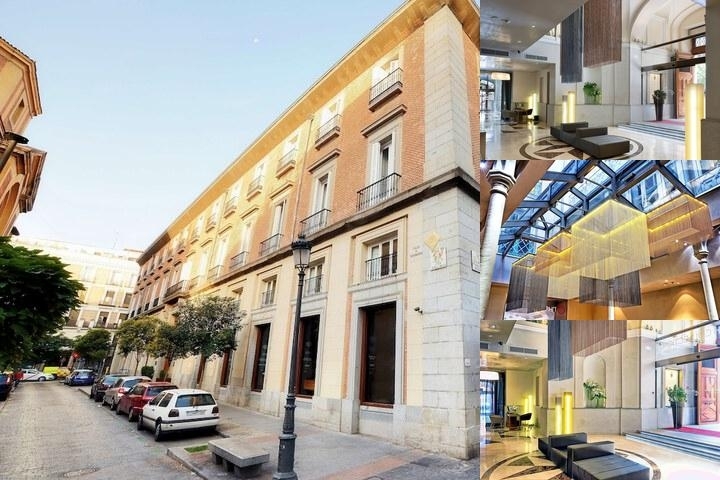 Located in the Las Letras district, the NH Palacio de Tepa hotel in Madrid is surrounded by history and romance. Just a five-minute walk away guests can visit the famous Plaza Mayor and next to Plaza Santa Ana enchant tourists and locals alike. Madrid's most significant museums, such as the Prado Museum, Reina Sofia Art Centre, and Thyssen-Bornemisza Museum, are also nearby, beckoning visitors with priceless works of art.At the NH Palacio de Tepa hotel, our 85 elegantly furnished guest accommodations include unique two-story suites. Each room features singular details reflecting the hotel's 18th century Spanish architecture, with recent renovations that add modern convenience to historical splendor. Ideal for business and leisure travelers alike, our rooms include luxury amenities such as iPod speakers, Wi-Fi, and gym access. Below are the meeting, banquet, conference and event spaces at NH Palacio De Tepa. Feel free to use the NH Palacio De Tepa meeting space capacities chart below to help in your event planning. 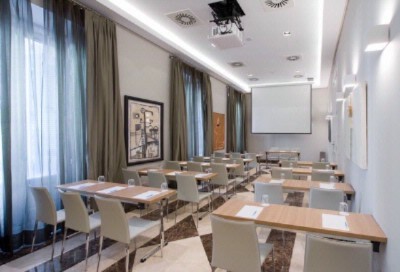 Hotel Planner specializes in Madrid event planning for sleeping rooms and meeting space for corporate events, weddings, parties, conventions, negotiated rates and trade shows. 10 x 5 x 4 M.
12 x 4 x 4 M.
7 x 5 x 4 M.